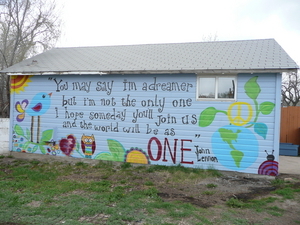 Alley Art Amazin is a local grassroots organization dedicated to providing colorful, family friendly art to the alley ways of Old Town Lafayette, Colorado. 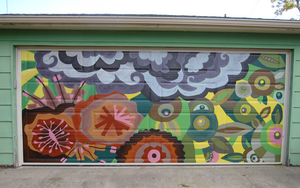 This local group was started in 2011 when Marissa Perry Saints opted to cover up graffiti on her garage with a mural titled, “Art Deco Garden Abstract”. Her neighbor, John Weiss admired her spirit and handiwork and decided he too wanted to personalize his residence. Thus, a movement was born. Today, this team, led by Tif Choate remains committed to the enthusiasm and artistry that that has made it one of Lafayette’s most valued volunteer organizations. Alley Art is thrilled to close the 2015 season with two major accomplishments. 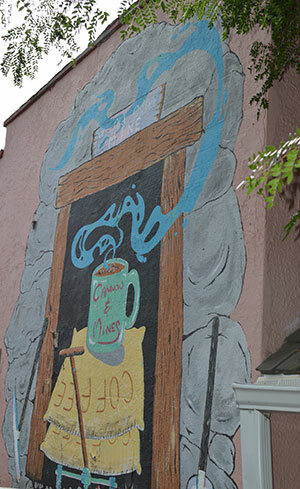 One, the fanciful and ambitious mural titled, “The Hand Off” can be seen in the parking lot of The Post Restaurant, on Emma Street. 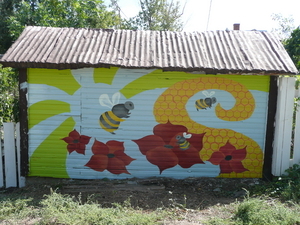 The second coup is the launching of its professional looking, multi-faceted website, www.alleyartamazin.com. When complete, this website will have a map of installations along with photos, artist bios and interesting tidbits. Even in this early stage it has been a boon for communication. 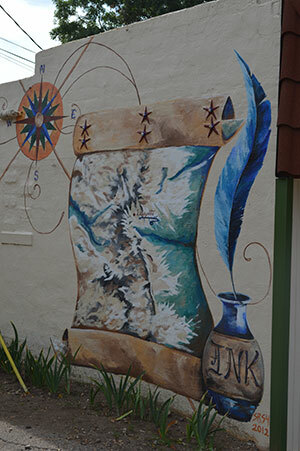 It allows residents of Old Town to submit an application for a mural and gives all interested parties the opportunity to complete a volunteer application, scroll completed art images and donate money. Viewer tracking indicates curious folks are dropping by from near and far, even a few curiosity seekers from Europe and beyond. 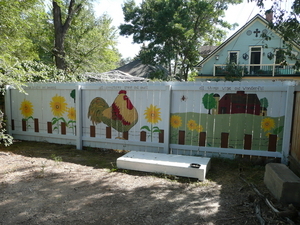 Alley Art Amazin owes a large debt of gratitude to LOTA and the City of Lafayette for their generous and ongoing support. 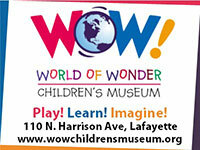 The citizens of Lafayette are creating a vibrant community committed to creative expression. The Alley Art Amazin team is humbled to be a part Lafayette’s ever growing art scene. 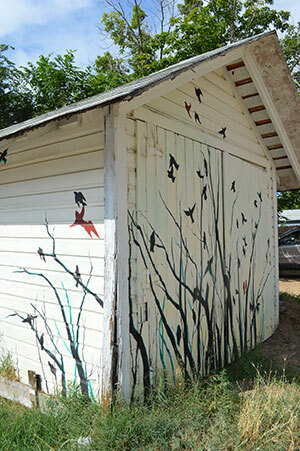 We are so excited to continue our beautification of alleyways, garages, sheds and fences. Thank you for your part in making Alley Art Amazin a valued part of this energetic city.